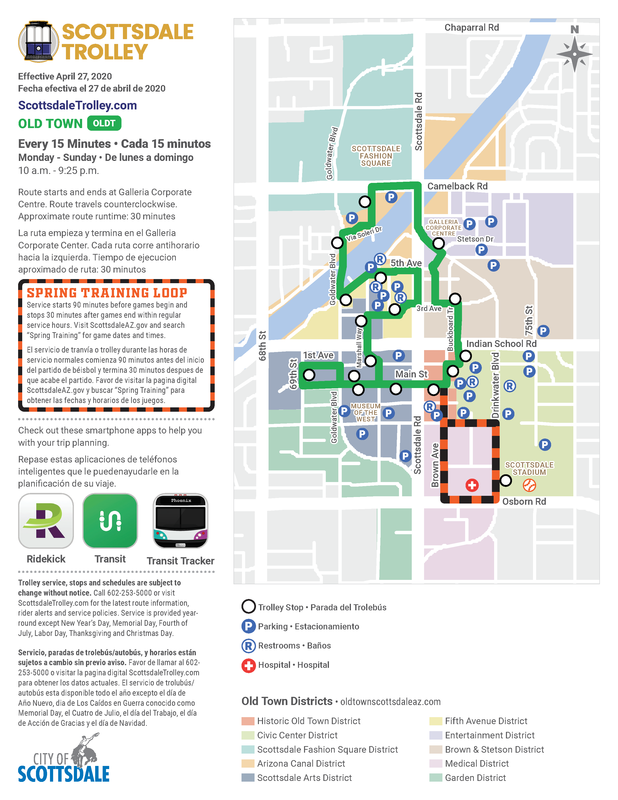 Scottsdale's free trolley system links residents and visitors to entertainment, restaurants, shopping, schools, parks and health services. 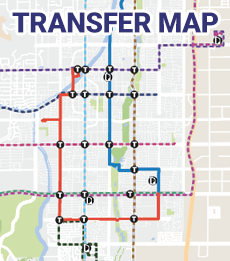 Riders can transfer between four trolley routes, the free Tempe Orbit Earth route and Valley Metro bus and routes. 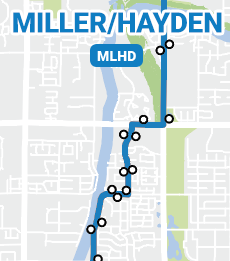 Hours: 10 a.m. to 9:25 p.m.
Scottsdale Trolley routes connect to Valley Metro Bus Routes and the Tempe Orbit Earth route. 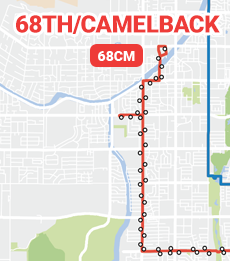 Plan your trip to other parts of the Valley now. No Service: New Year's Day, Memorial Day, Fourth of July, Labor Day, Thanksgiving and Christmas. 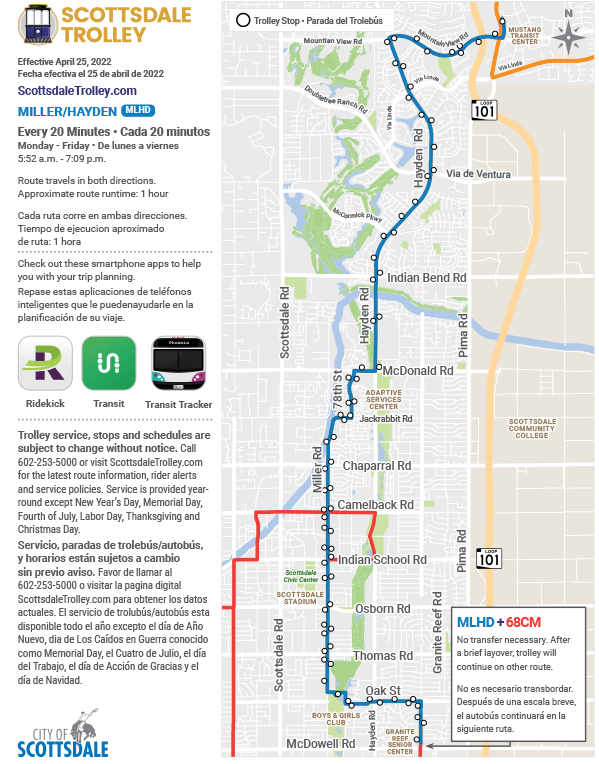 Trolley map brochures with new routing as of October 22, 2018, are available for free at One Civic Center, 7447 E. Indian School Rd. 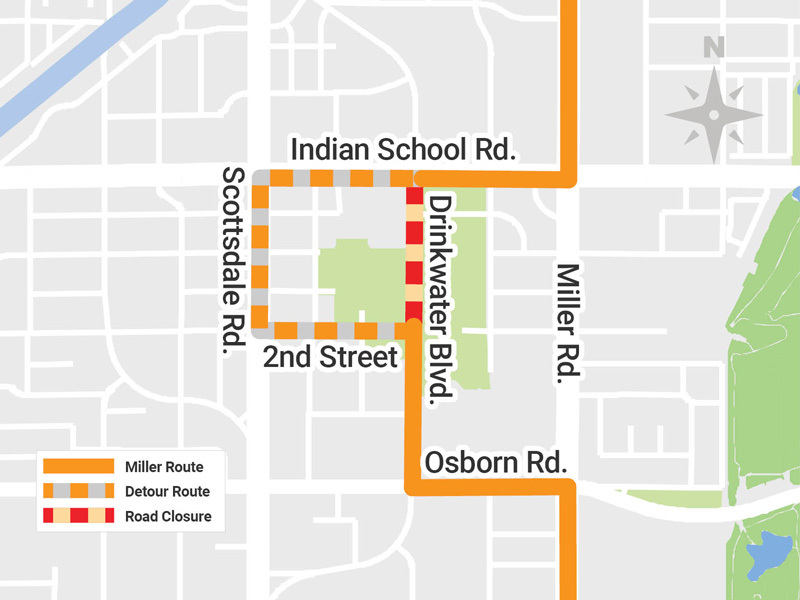 and at Scottsdale libraries and community centers. Or, it can be delivered to your home for free. 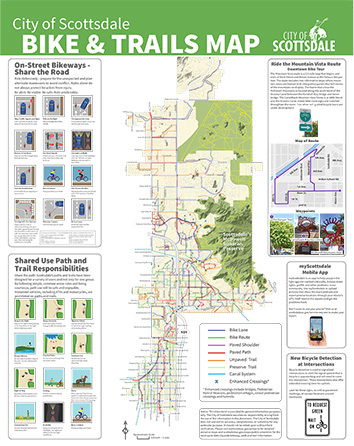 Contact Jennifer Banks at jbanks@scottsdaleaz.gov or 480-312-7517 to order a copy. 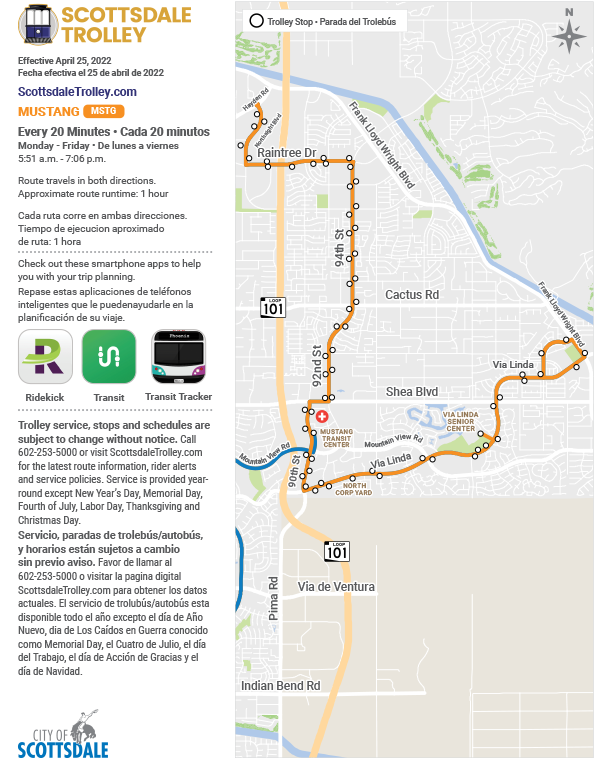 Valley metro allows you to select your favorite routes to create a custom Transit Book. 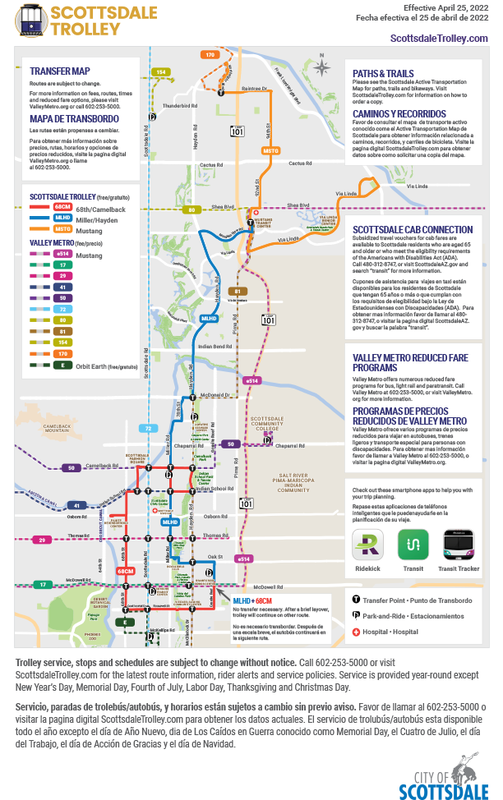 To create your own book, visit the Valley Metro My eTransit Book website . 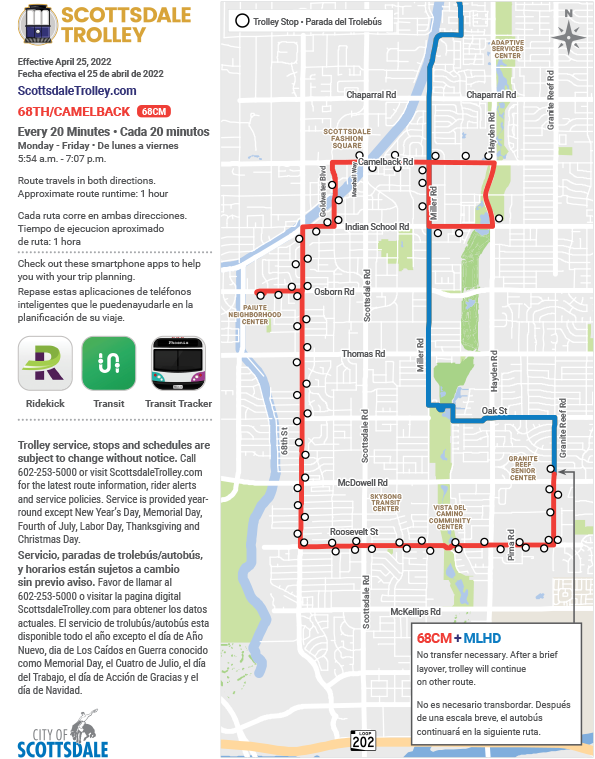 We used the site to create a custom Scottsdale Trolley Transit Book (PDF), which includes specific time schedules for select stops. 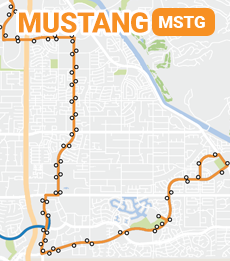 The scheduled stops enable you to estimate times for stops in between. Please note that the effective dates at the top of the book are incorrect. 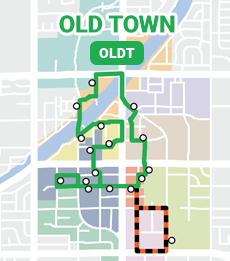 The routes are effective until October 21, 2019.